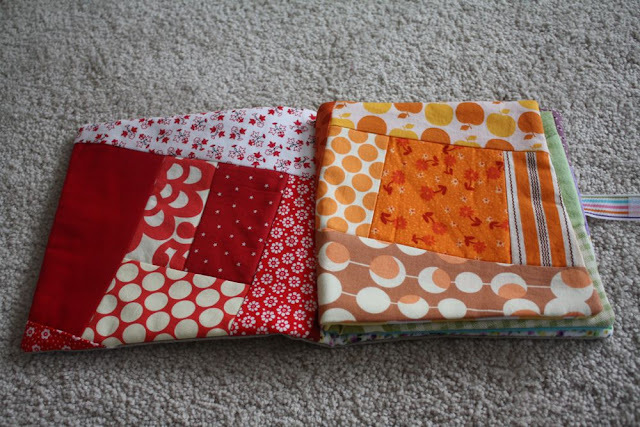 ok, i just figuratively arm-wrestled blogger into posting these pictures. for some reason it loaded the first three pics fine, and then wouldn’t let me do the other two. grrr. i won though. nya nya nah blogger. i think this is my new favorite project, i seriously love looking at it! i used this tutorial. 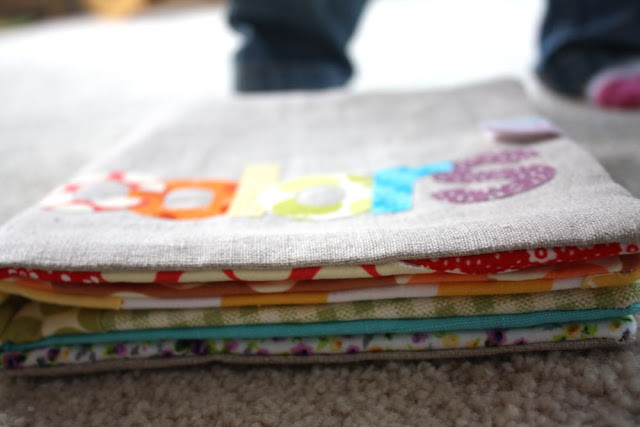 loving all the scrappy tutorials coming out of sew mama sew for their contest! i’m just sad i didn’t find out about it until too late. 🙁 oh well. 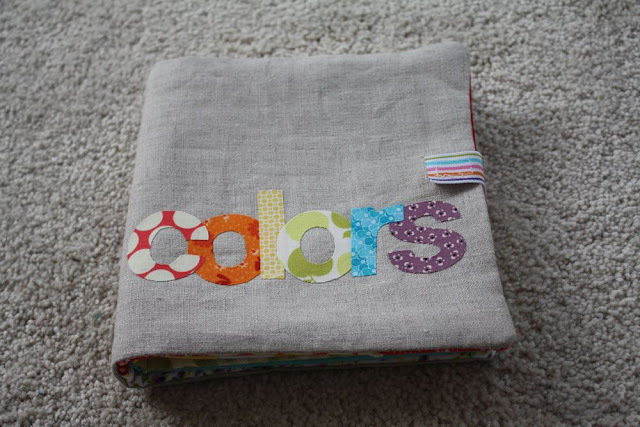 here’s my cover…made with some linen and appliqued letters. love! 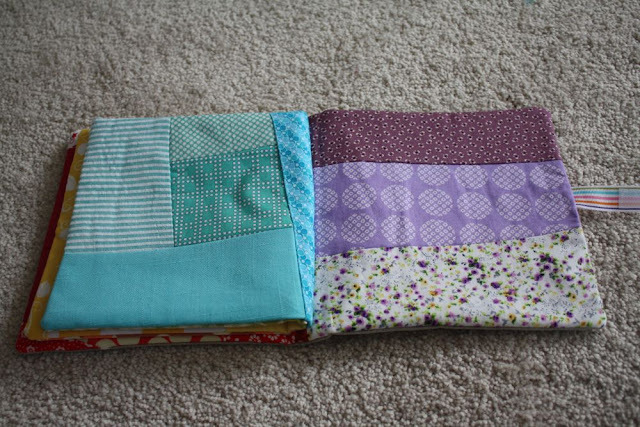 blue and purple pages…yep, i know i need more purple fabric, apparently. that’s all i had! oh, and happy halloween! pictures of our costumes later! no, i didn’t make them, but they’re still cute! Very cute Jess! I was just thinking that I do not have any purple thread which most likely means no purple fabric!! I will have to work on that this coming year!!! I was able to see this entire post in my reader! Yay! Thanks for the change. Have a Happy Halloween. Can’t wait to see pics of Sadie in her homemade costume… I’m assuming her mama sewed up something super cute! What an adorable book! Thanks for sharing the link with me. 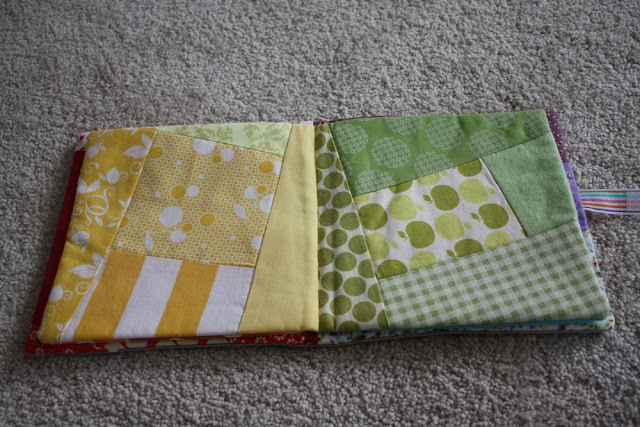 Ok so cute…I’m definitely making that for max! Hi again! I’ve set up a flickr group for this project and I love your photos! Please consider adding them. i like it soo much..first time i see your web site.. This is absolutely gorgeous. Well done, I will definitely put this on my to-try list!